As an innovative business, there are times when you need to experiment with new ingredients or components. This can mean down time on your production line, purchasing large quantities of materials, and investing your valuable time setting up unnecessarily large trials. It may even mean buying a new mixer! Zeppelin can help you reduce the risks, save money and minimise disruptions to your business with our cost effective Henschel Mixer Technology Rental. Our FML 10 High Intensity Laboratory HENSCHEL Mixer® provides accurate downscaling of equipment and functions to gain valuable data and results that can then be reliably scaled up for production. 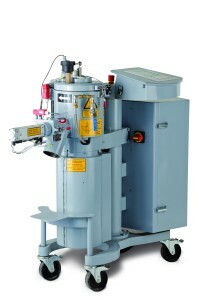 Using this 10-litre mixer at your site also helps you ensure secrecy when developing valuable IPR. By renting your HENSCHEL Mixer® from Zeppelin, we can assist you in perfecting your mixing process and ensuring your downstream process runs smoothly to maintain the highest standards of product quality. Minimise your overheads with Zeppelin. Whether your project is big or small, our rental charge is based week to week – meaning you only spend what you need – giving peace of mind at an affordable price. Constantly testing and developing new mixes? Have you thought about purchasing a lab scale mixer for your permanent use? For a more efficient production line and mixers that guarantee consistent quality products, get in touch with a member of our expert team today.